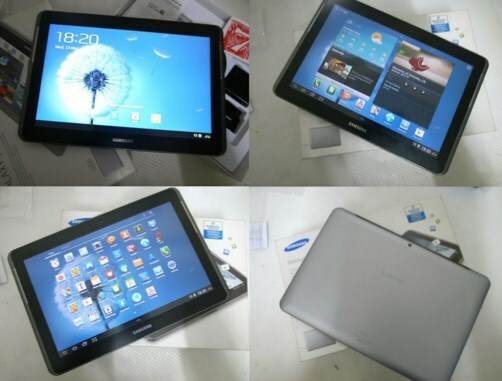 Hello AnyIndo visitors, finally we have the opportunity to mess up a tablet it is SAMSUNG Galaxy Tab 2 with P5100 generation. This tutorial and file are provided for those who wants to mess up their SAMSUNG Galaxy Tab 2 P5100 and this tutorial tested by us. After a few attempts this device, realizing that its operating system is still on Ice Cream Sandwich or we usually call it "ICS", then if we want to upgrade to Jellybean with original version this article would be useful for you. So here we share the official ROM SAMSUNG Galaxy Tab 2 P5100 if you also have the same gadget. Remember that this tutorial the only for the P5100 series (SAMSUNG Galaxy Tab 2 10.1 inches with 3G Network). Belum ada tanggapan untuk "Download and Install Stock ROM SAMSUNG Galaxy 2 P5100"